Wadler's Blog: Information is Beautiful: How Will The Budget Impact the Deficit? 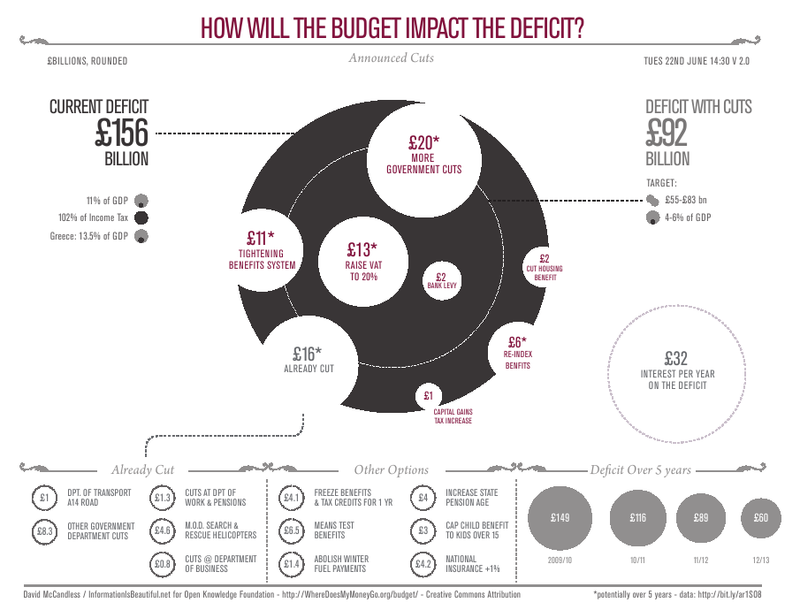 Information is Beautiful: How Will The Budget Impact the Deficit? A stunning Infographic from David McCandless of Information is Beautiful. Note the £1 billion raise in capital gains compared to the £13 billion raise to VAT. An interesting perspective on these comments is offered by Joseph Stiglitz. Spotted via Boing Boing.